From its introduction, social media has played a huge role in marketing. With changing times, the strategies to market on social media have also changed. Facebook is losing its charm of wooing customers and businesses are moving to the next big thing in social media – Instagram. However, many did not gauge the marketing potential of Instagram back when it launched. Many termed it as cute and feminine, and now, it is a beast for eCommerce marketing. While many organizations relied on Facebook to bring them the impressions, others, who made use of Instagram rather than Facebook, reaped the benefits. They, the ones who used Instagram, had a loyal following and often thanked their followers for the support by organizing few ‘give away’ contents. Instagram is a great way to market your eCommerce business. Before we move further let us spare a moment to know what Instagram is and how it functions. 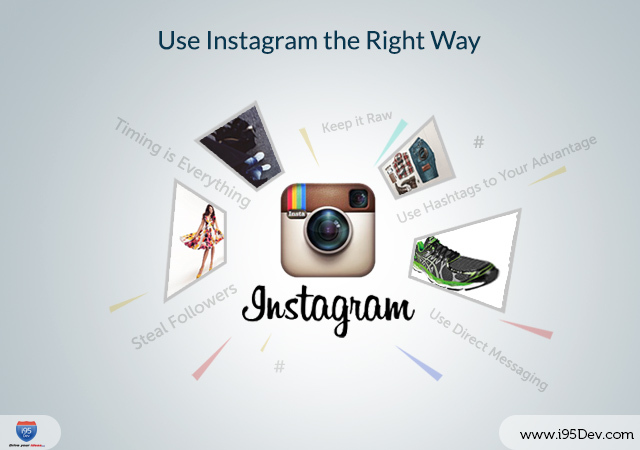 Instagram is a free online picture sharing as well as social network platform. Facebook recently acquired it (2012). On Instagram, its members can share, upload and edit photos. This is probably the only similarity that Instagram has with other leading social networking websites. You cannot publish links and expect people to click on it; nor can you create great copy describing a product to push sales. This is a place where only photos sell. Post pictures that connect with your audience and represent your brand. While this is good to keep your audience entertained, post the odd funky picture just to spice up the proceedings and gauge the reactions of your audience. Make sure that your posts are appealing, inspiring and most importantly relatable. Instagram uses hashtags, unlike other social media platforms, which give users the ability to give in links and descriptions. Instagram is packed with hashtags. The function of a hashtag is that it accumulates all the photos that are listed using a particular one. For example, if you post a picture using the hashtag #feelingawesome, all user-submitted photos that have the same hashtag in the description will be listed under it. This is great if you want to connect to people across a wider domain. This tip works best if you want to promote/market a new product. We all know that timing is essential in anything that we do. If we do something after when it is required then there is no point in doing it. Similarly, you should follow a specific timeframe to post your pictures. We suggest planning your posts in a way that it reaches your audience at the right time. The right time can vary depending on your target audience and hence it is important to test and measure what is working for you. Although, you do not have to strictly follow a timetable, it would help you if you did because your users then know when to expect the next post. Adhere to these three steps and you will have all your competitions’ followers in no time. This feature is often overlooked. We believe that this is the most effective way to engage a customer. You can personalize a message for a particular segment of your customers. In addition, you can hold a contest, feature sales or promote new products for those groups of your customers. This has been the blog on using Instagram the right way. What are your thoughts on it? Share your feedback and suggestions by commenting below.